Further, no such similar enactment has been passed in Penang, Sabah and Sarawak. 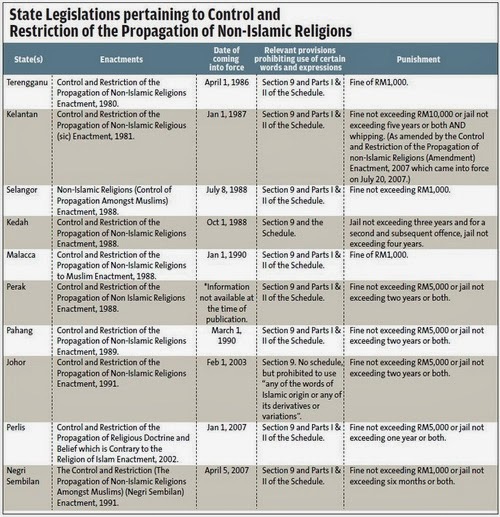 However, a fatwa with regard to certain words being exclusive to the Muslims may have been issued under section 48 of the Administration of Religion of Islam (State of Penang) Enactment 2004 but it does not bind the non-Muslims. 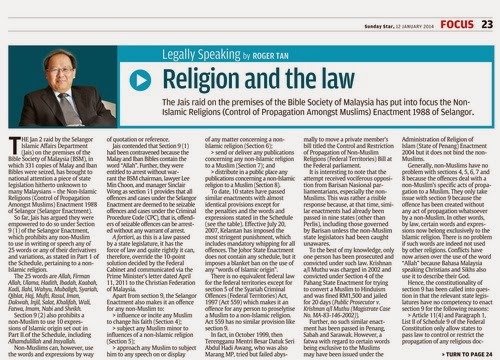 The first thorough article in Malaysia on this sensitive issue. Well done to the writer. The just-in-time article has clearly explained the messy situation! Roger has practically suggested a viable solution to this challenge. We really need rationale discussion and support from the top leaders in all parties.